Get an inside scoop on Rehab Services at UNMH. Here at UNMH, we focus on creating the best atmosphere for our team members and patients. With a vital focus on professional growth, we like to provide our employees with every tool they need to advance their career. We spoke with Stephen, Outpatient Rehab Supervisor, about his time at UNMH. Rehabilitation Services includes Physical and Occupational Therapy along with Outpatient Rehabilitation. 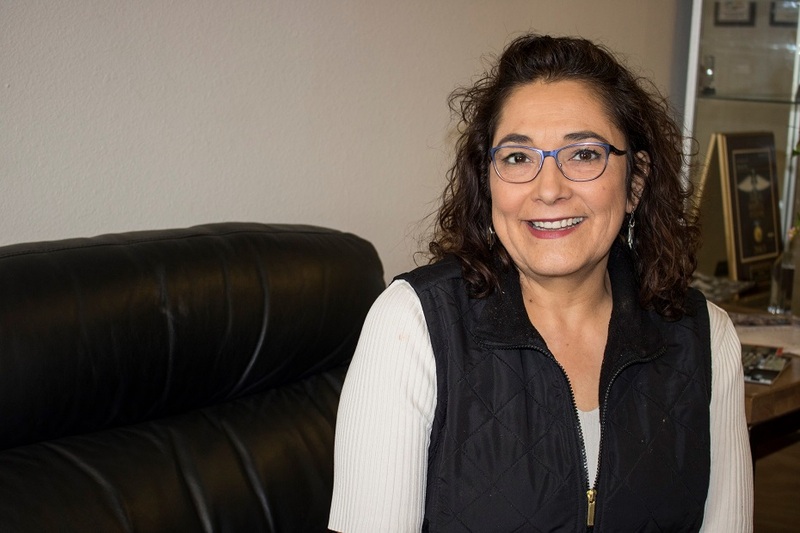 Our interdisciplinary team of physicians, psychologists, psychiatrists, physical therapists and clinical pharmacists is dedicated to serving patients referred by providers in the UNMH Pain Consultation and Treatment Center. Our rehabilitation specialists are dedicated to providing patients with proper treatment to reduce pain, and improve or restore mobility and function, in a supportive and caring environment. Whether patients are rehabilitating from a stroke, recovering from an injury or living with chronic pain, we use evidence-based therapies to help patients reach their highest potential. Outpatient rehab supervisor Stephen oversees occupational therapy, physical therapy and technicians who support our clinical staff. Making the move from Portland, OR, Stephen wanted to come back to the sunshine, the outdoors and the ability to do things year-round. He’s been with UNMH for about 4 years now. “I think some people don’t understand the relationship we have with the medical school and the opportunities that presents, whether that be research, resources or opportunities to forward your career,” says Stephen. The medical school plays a big role in providing valuable resources for employees, along with internal continuing education relative to personal improvement and career development. The rehabilitation services team is always recruiting their growing team. 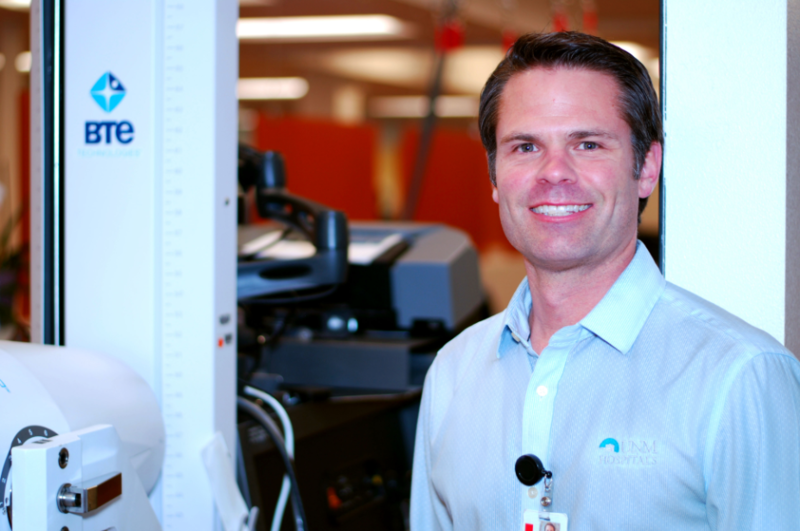 Stephen finds value in the variety of patient care at UNMH. Day-to-day patients may include people from the homeless community to politicians, government service representatives, to heads of medical groups. 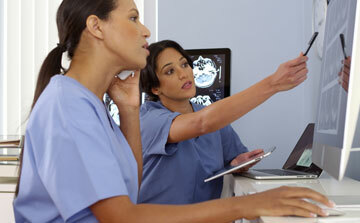 Home Health Care Services takes care of patients where they are most comfortable, their own home. As we teach patients how to care for their injuries, diagnoses and pain, we also have the opportunity to teach their families how to care for their loved one’s medical well-being. Jocelyn, Home Health Physical Therapist, works with a variety of patients of varied diagnosis and medical acuity. “Most of my patients are physically weak and medically compromised from recent hospitalization. They may present with limited or no understanding of disease management, history of falls or chronic pain. No two patient presentations are alike,” says Jocelyn. Flexibility is a key component to Jocelyn’s day. She normally schedules her visits about 1-2 days prior, providing care in homes with an average of 3-4 visits per day. She focuses her PT goals and intervention on functional mobility, safety and independence in the home setting, plus addressing the patients’ rehab goals. Check out job openings on our Rehab Services Team!